A photographic keepsake of Alaska's spectacular wildlife from grizzlies, Dall sheep, and the elusive lynx to bald eagles and the common ground squirrel, photographer Tom Walker displays birds, mammals, and more in work that spans four decades. This is a Best of collection from a celebrated Alaskan writer and photographer. Captions focus on factual natural history interpretation; for example: an Arctic ground squirrel's body temperature can drop below 32 degrees Fahrenheit without its tissues actually suffering trauma. 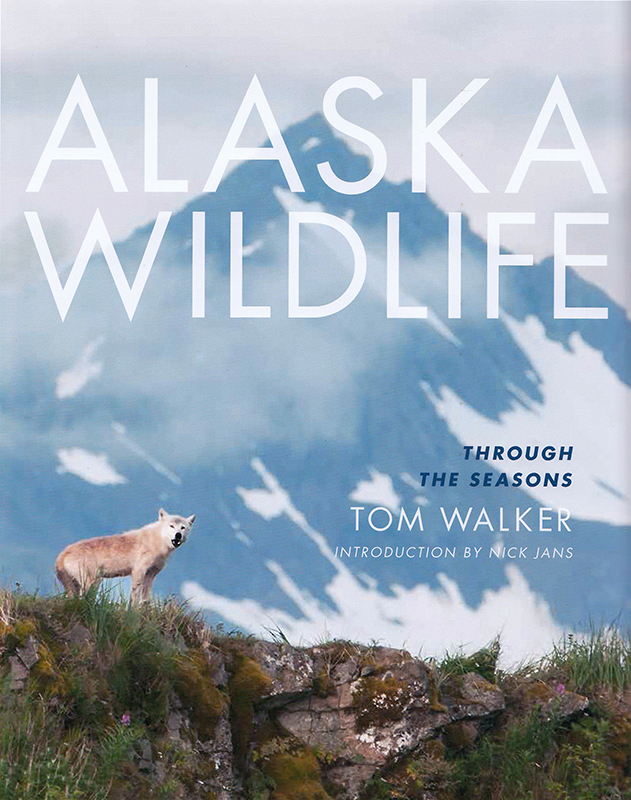 This new gift book is seasonally organized, revealing the wondrous Alaska landscape and the activities and behavior of a variety of species during spring, summer, autumn, and winter. Now available from AMAZON.COM or from our website Store. Alaska Wildlife: Through the Seasons.